RLI Press is a division of Retirement Lifestyles, Inc., an Oregon Corporation founded in 1999 by Philip and Carol White. They provide publishing services, including book packaging and book marketing plans, in a variety of genres. RLI Press is not currently accepting new manuscripts for publication, but will consider author marketing projects. 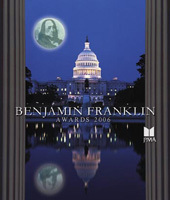 RLI Press was awarded the prestigious Benjamin Franklin Award by Publisher’s Marketing Association in 2006 for their book “Live Your Road Trip Dream”. Judged by a panel of book industry experts including buyers at wholesale and retail levels, librarians, book critics, design experts and independent publishing consultants, these books have been scrutinized by individuals involved in the very markets in which the books are competing. They were also finalists in 2004 for ForeWord Magazine’s book of the year – Travel for the same title.